Jumbo prawns fried in our coconut batter and served with a sweet chili dipping sauce. Large shrimp or crab served with our homemade cocktail sauce. 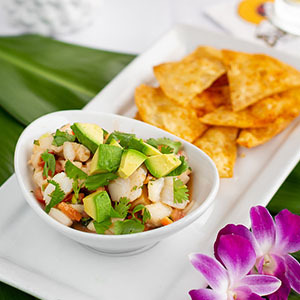 Our homemade fresh guacamole is served with tortilla chips and salsa. Add Lobster for $14. Taro chips available on request. 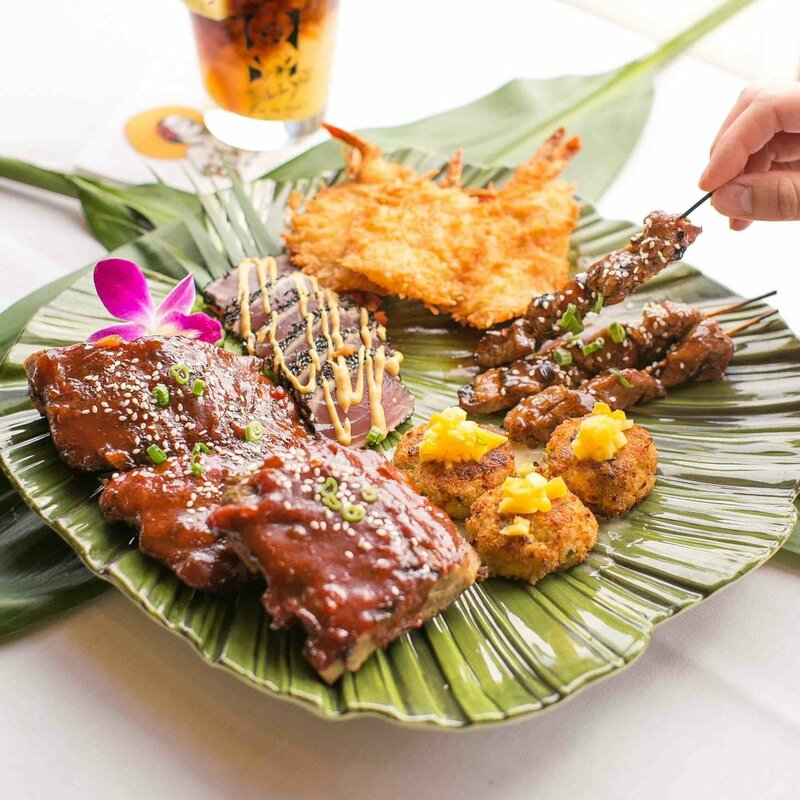 A combination of the Cho Cho, Coconut Shrimp, Crab Cakes, Blackened Seared Ahi, and BBQ Pork Ribs. A combination of three types of Mad Mike’s sausages. Beer Barrel Bratwurst (mild), Garlic Chicken (medium), and Tri-Pepper (hot). 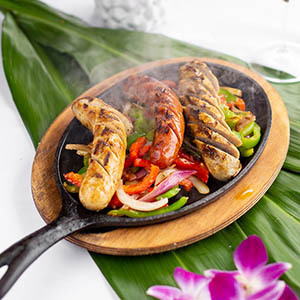 Served on a sizzling platter with sautéed peppers and onions. Slowly cooked baby back ribs served with island slaw. Select Dungeness crab cakes pan fried and served with key lime beurre blanc, mango and papaya salsa. A daily selection of “smoked in our kitchen” fish. Served with cheese, apples, and dipping sauces. 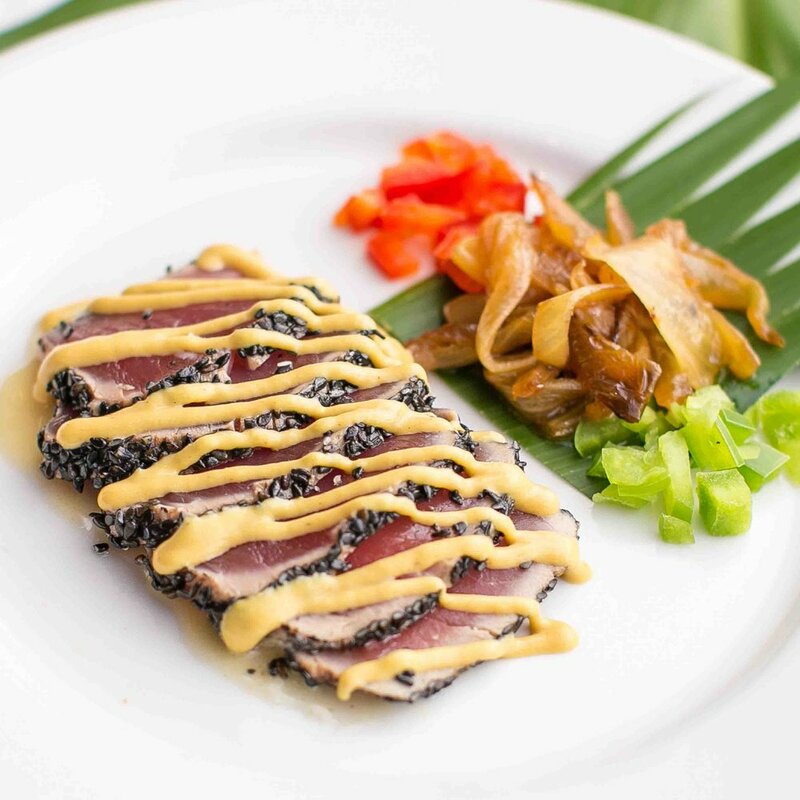 Fresh yellowfin tuna pan seared with black sesame seeds. 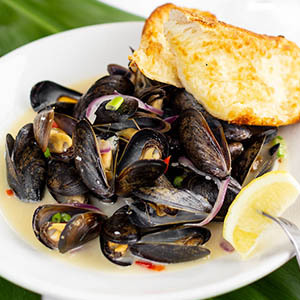 Served rare with beurre blanc and Dijon soy sauces. Sashimi also available. Fresh Ahi Poke with wonton chips, avocado, wasabi creme fraiche and Tobiko Caviar. 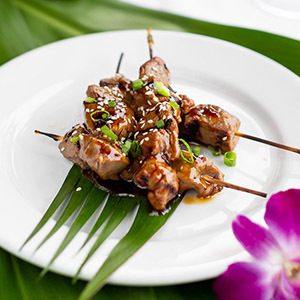 Grilled skewers of beef tenderloin marinated in our South Seas teriyaki sauce. Steamed with white wine and garlic. Served with drawn butter and garlic bread. 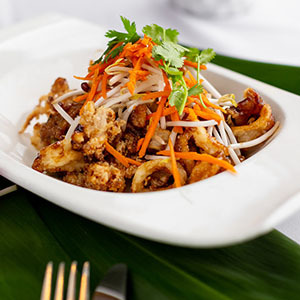 Crispy calamari served with peanuts and green onion, topped with our homemade sweet & spicy sauce. 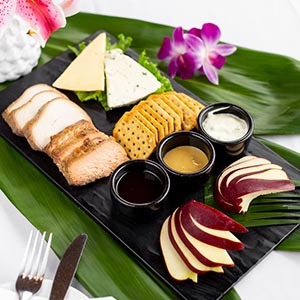 Chilled Diver Scallops and Mahi Mahi or Opakapaka. Marinated in a spicy lime cilantro juice. Edamame pods served steamed and lightly salted, or tossed in a spicy garlic chili sauce.